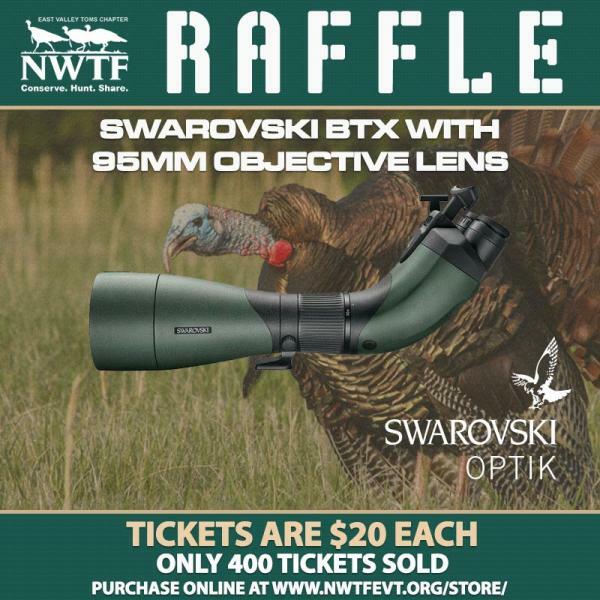 The NWTF East Valley Toms Chapter is holding a raffle for a Swarovski BTX Spotting Scope with 95mm lens. We are selling 400 tickets at $20 each. You can purchase your tickets at https://squareup.com/store/nwtf-east-valley-toms/item/swarovski-btx-with-mm-lens-raffle Winner will be drawn and announced via FB and email when all tickets sell out. We would like to thank ROSS OUTDOORS for stepping up and helping with this raffle. Please show your support to them as well. Just to let everyone know we are also raffling off a chance at a Az lifetime hunting license so go to our website at Nwtfevt.org and get your tickets we are only selling 75 chances at $20.00 each. I just want to keep this up as we still have tickets left to sell.Good luck to all who have bought tickets to both of our raffles. We also are raffling off a Az lifetime hunting license. We still have tickets left get yours today. Im in. When is the drawing? Greyghost85 we will draw the winner when all the tickets are sold tommorow I will post how many are left and Thanks for your support of the East Valley Tom's. We still have 180 tickets to sell before we draw the lucky winner.Get this thing sold out. Just got a update on amout of tickets left on the BTX. There is 148 tickets left as of 30 minutes ago. And the winner of the AZ Lifetime hunting license was Gene D. of Prescott. We will do another one after the Swarovski BTX is sold out. The winner of the BTX- 95 mm is Matthew Garrity of Phx. Congratulations to him for winning that great piece of glass. 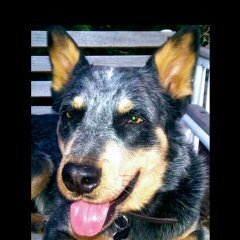 Also I want to thank Ross Outdoors for helping us with this raffle and thanks to all who bought tickets.